A day after the US Federal Reserve increased interest rates to 2 percent, silver made impressive gains and rose above the US$17-per-ounce mark. After two days of monetary policy meetings, the US Federal Reserve officially announced the second interest rate hike of the year on Wednesday (June 13). The Fed lifted the target federal funds rate by 25 basis points, from 1.75 percent to 2 percent, sending silver sailing upward, crossing over the US$16-per-ounce threshold it has been straddling for some time. “Silver prices meantime broke to the top of their recent dollar trading range, reaching the highest dollar price since mid-April,” said Adrian Ash, director of research at BullionVault. The Fed hike has added to the white metal’s gains in June, pushing the precious metal up by 3 percent for the month. On Tuesday (June 12), Commerzbank (OTCMKTS:CRZBY) noted that silver may draw upside momentum if it is able to break through US$17. 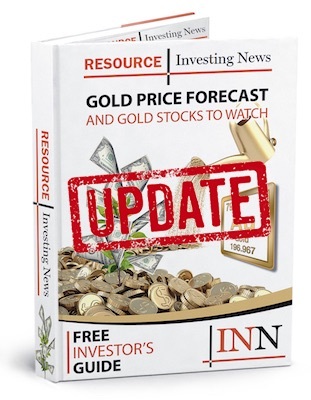 Since the Fed hike has pushed the white metal over that US$17 point, market watchers believe that the notion of silver outperforming gold could become a reality sooner rather than later. Results from the meeting also suggest that the Fed will raise interest rates two more times in 2018, adding up to four hikes instead of the previously forecasted three. Interest rates are expected to increase to 3.1 percent next year, up from the previous estimate of 2.9 percent. By the year 2020, the Fed expects interest rates to climb to 3.4 percent. Rounding out the Fed’s meeting comes the knowledge that the central bank expects US GDP to grow by 2.8 percent in 2018, with economic activity projected to expand 2.4 percent in 2019. Overall, the economy is expected to grow 2 percent in 2020. After his second quarterly press conference as Fed chair, Jerome Powell said that in the future he would like to meet with journalists following every meeting. “[This] does not signal anything about the timing or pace of future interest rate changes,” said Powell. As of 10:08 a.m. EST on Thursday (June 14), silver was up 0.71 percent, trading at US$17.13 per ounce.